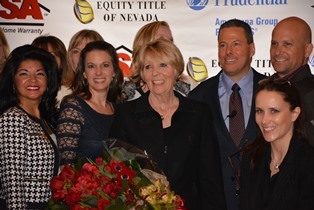 LAS VEGAS - March 13, 2014 - PRLog -- Today Prudential Americana Group recognized its top individual real estate sales executives and teams at its annual sales event held in the Encore Las Vegas. The company, which operates the largest Prudential Real Estate franchises in both Nevada and Arizona, posted a record $2.5 billion sales volume in 2013. During the program, CEO Mark Stark welcomed two of the most recent brokerage teams to have joined the company. “We are honored they chose to join the Americana family, feeling our environment, tools and support would be the best vehicle for them to grow and support their real estate business and clients.” Stark said. Among the teams joining the company were Sullivan Luxury Homes, which closed $11.9 million in sales volume in 2013 and Lopez Cosmopolitan Group with $12.6 million closed. “We look forward to helping these groups achieve all their goals for 2014 and beyond,” said Stark.